Recent Labour leaders have found the balance difficult. In his heyday from about 1994 to 2002, Tony Blair excelled at balancing the fox and the lion. Then the lion got the better of him; he went roaring off into the desert of Iraq, with hideous consequences for his party, his country, and the Iraqis themselves. Blair may well have believed he was acting on principle, but cold-blooded assessment of the risks would have served us all better. As Chancellor and Prime Minister, Gordon Brown was too much the calculating fox. When he unleashed the lion in the Scottish referendum campaign, he was far more impressive; but that was after his leadership of Labour had failed. Ed Miliband visibly struggled to emulate either the fox or the lion. He came across as neither crafty nor brave; the best he managed was some lesser animal, perhaps a weasel. Now we have Jeremy Corbyn, a grizzled old lion if ever there was one. I agree with him on many points. The state can provide decent public services, and take a more active role in the economy, without the sky falling in. The Iraq war was a terrible idea. Trident is a colossal waste of money, and its strategic utility is dubious at best. Corbyn's political career has been built on a refusal to compromise with anyone – particularly not his own party's leadership, as he rebelled in Parliamentary votes more than five hundred times since 1997. The only people he felt responsible to were in his north London constituency. To his credit, he appears to be a popular and hardworking constituency MP, but this is not necessarily good preparation for being party leader. The voters of Islington may like the cut of his jib, but they are hardly representative of the country as a whole. 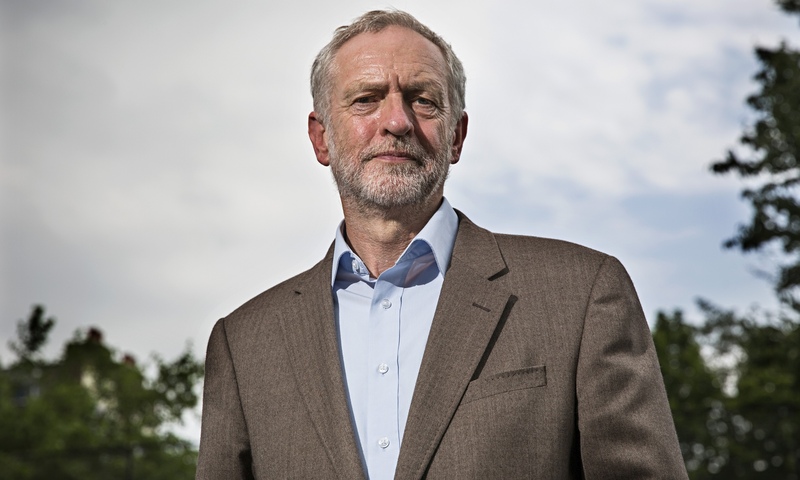 Here is my problem with Corbyn: He mistakes moral outrage for leadership. Corbyn has no interest in complexity, ambiguity, or even scientific fact. There is a common thread in many of his positions: Any conflict can be simply divided into good guys and bad guys; the good guys are the ones opposed to the establishment; and if only we shout down the bad guys, all will be well. It is posturing as a substitute for policy. Applied to leadership, it is a recipe for disaster. I have already discussed Corbyn's support for homeopathy. He has thrown in his lot with quackery, and against the hard work of doctors, nurses and scientists to make people's lives better. It is bad science, bad leadership and bad socialism, and there is much more. For example, Corbyn supports the reopening of British coal mines in conjunction with "clean coal" technology. Is this really the best use of our finite resources? Should we work to bring back a dangerous line of work, in which so many men died in accidents or from disease? Would investment in renewable energy not be a better alternative? Corbyn doesn't stop to consider these questions. It has been a quarter of a century since Margaret Thatcher departed the political scene; but Thatcher bad, miners good, seems to be the limit of his thinking. Then there is Corbyn's approach to foreign policy, and Israel in particular. Much criticism has focused on his association with Hezbollah, Hamas, and other viciously anti-Semitic organisations and individuals. Corbyn's supporters prefer to call him a "supporter of the Palestinian justice movement". This much is clear: Corbyn has taken the side of Hamas, a stance it much appreciates. He is not working to foster dialogue, merely enjoying a warm glow of moral certainty. There is plenty of blame to go around in the Israeli-Palestinian conflict. All factions have a great deal of blood on their hands. In addition to terrorist attacks against Israeli civilians, Hamas is responsible for torture and extrajudicial killings in the territory it controls in Gaza. Hamas' horrifying record on human rights, documented by Amnesty International among others, is of no great concern to Corbyn. Israel bad, enemies of Israel good, is the limit of his thought process. Corbyn's stance on Israel is merely the most obvious example of his simplistic, black-and-white approach to foreign affairs. He co-founded and chairs Stop The War Coalition (STWC), an organisation which parted company from reason some time ago; it blames NATO (rather than, say, President Putin) for the Russian occupation of Crimea, and is keen to downplay the obscene brutality of Islamic State. USA bad, enemies of USA good, is the STWC credo. Corbyn's judgement on health, energy, foreign policy, and other topics is severely flawed. No one doubts his sincerity, but sincerity is not the only important virtue. I have my own principles, and being a rigid ideologue is not among them. I believe in observing the world as it is, not as I wish it to be; in trying to learn and adapt in the face of change. I believe there are profound disagreements with good people and well-reasoned arguments on both sides. I believe we should listen to others and seek to understand them, even those we most disagree with. These are principles too, but they are ones Corbyn has no time for. Flexibility is not the same as weakness. There are great wrongs in this world, which we must fight; but if you fight what you do not understand, chances are you will lose. If vulnerable people depend on you to win, losing will carry heavy consequences. There is no reason to believe Corbyn has the shrewdness, diplomacy, or mastery of policy detail needed to be a viable candidate for Prime Minister. There is no reason to believe him capable of demonstrating these qualities. There is no reason to believe he even wants to do so, after thirty-two years in Parliament as a professional rebel. I sincerely hope I'm wrong. It may be that Corbyn will revitalise Labour. Maybe he will inspire a great movement of new support which will carry him into Downing Street, and he will be remembered as a wise, principled and successful Prime Minister. Maybe; but I really don't think he has it in him. Beneath his softly spoken demeanour, Jeremy Corbyn has too much of the fanatic; so I cannot welcome his impending coronation as Labour leader.